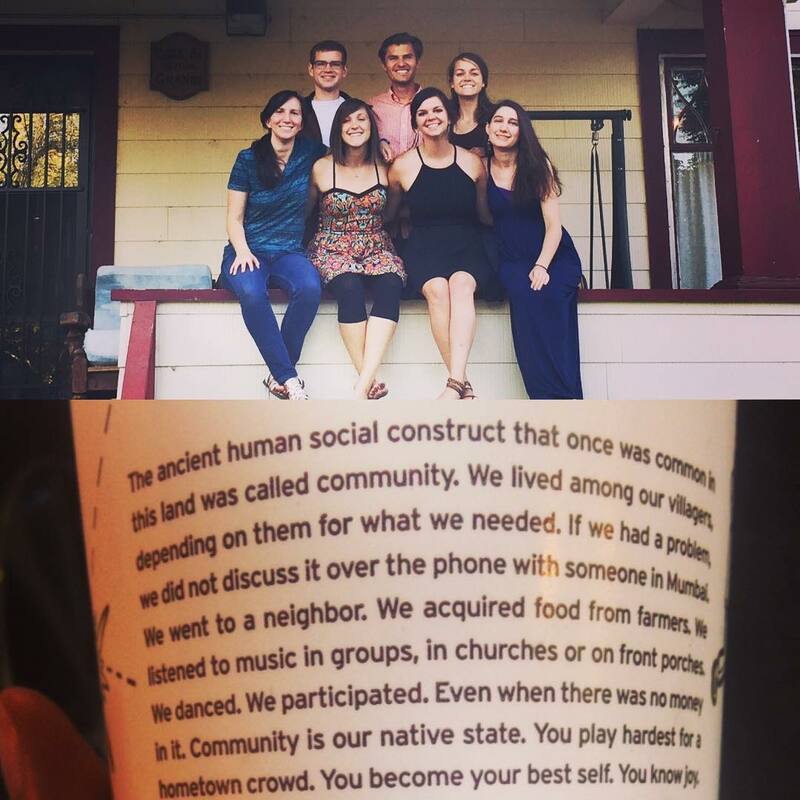 This past week, I said goodbye to my intentional living community. We lived together for a whole year. We are seven diverse, uniquely-created people, but we did not once attempt to kill each other. We never had to ask who committed murder with the candlestick in the billiards room. We didn’t have billiards; we played darts. All seven survived. What may be yet further surprising is that we all like each other after a year thrown together. Some people can hardly wait to leave their roommates far behind when their lease expires. I’ve felt the relief when it is time to move. Living with people is hard. That’s not exclusive to romantic relationships. Life in shared space is guaranteed messiness, despite the clean freaks (maybe especially so). Yet even in the mess, community life can also be beautiful. Saying goodbye was hard. Throughout the last week, I could physically sense myself building a brick wall around my emotions, blocking them out until further notice. I coped by convincing myself that we will keep in contact. We exchanged our new addresses to send each other mail. It isn’t goodbye forever…just goodbye for now. As an introvert, I understand the need to be alone. It fills me up. But the more I’ve enjoyed rich, genuine community, the more I’ve found there are needs that only community can satisfy. Life Together by Dietrich Bonhoeffer discusses the importance of having human community along with room for solitude. Community is like a safety net in some ways. It saves us from ourselves. It can both reveal and reverse selfishness. It pulls us outside into the world of others, reminding us that we do not exist in a vacuum. We have the daily opportunity to either build up or tear down other people. Last year was an enriching time of intentional community for me. I don’t want to lose my growth and turn stagnant. So when my last community had to say goodbye, continuing in community became one of many reasons why I chose to move into my sister and brother-in-law’s house. Some people paused when I told them my plans. They told me an unconvincing, “Oooh, that’s great.” It didn’t make sense to them. They asked how I felt about living with family. The truth is I was both excited and nervous. My exact feelings before moving in with my last community. Because I knew living with others, like any close relationship, would be challenging…but a wonderful adventure the whole way.